LONDON: The joke was on Google yesterday when it had to pull an April Fools’ Day prank featuring characters from the “Despicable Me” movies that landed users of its Gmail service in trouble. To mark the annual day of practical jokes, the US technology giant added an extra send button to its email service that included a gif of a minion, one of the yellow creatures from the popular animated comedy films. But many unsuspecting users hit the button and sent important business emails and reportedly even funeral arrangements with the light-hearted cartoon. “This is horrible – Just sent an email to a client with this stupid icon on it,” wrote user David Kitner on the Gmail help forum. “I can’t afford these stupid pranks!” Another user, Faye Davies, added: “I send a legal document which affects mine and my family’s life and you stick that button in the place of a send button… Grow up.” Google later withdrew the feature and apologized. “Well, it looks like we pranked ourselves this year,” it said. “The MicDrop feature inadvertently caused more headaches than laughs. We’re truly sorry. The feature has been turned off.” Meanwhile readers of newspapers around the world were left puzzling over whether a series of improbable stories were true or not. Britain’s papers, traditional bastions of the April Fools’ tradition, concentrated on the June 23 referendum on membership of the European Union to trick readers. The Guardian claimed to have exclusive information that Greek-born Prince Philip, Queen Elizabeth II’s husband, would defy Britain’s strict constitutional rules and come out in favour of the EU, given his “impeccable European credentials”. According to the paper’s “well-connected source”, the royal family had turned against London mayor and high-profile anti-EU campaigner Boris Johnson as he had “made it difficult to get around London in a decent-sized Daimler”. However, there were apparently concerns that Philip could not be trusted with a live broadcast given his “propensity for swearing,” the paper’s prank story said. The spoof came after a recent Sun newspaper story claiming that the queen was in favour of Britain leaving the EU which prompted Buckingham Palace to complain to Britain’s press watchdog. 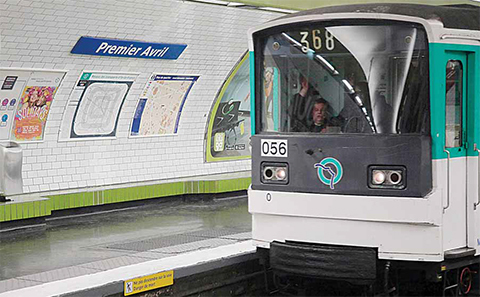 The Paris Metro service (RATP) joined in the fun, renaming major stations. The Opera metro station became Apero – the shortened French word for aperitif – while Crimee was renamed Crimee Chatiment, which when spoken sounds like the French for Fyodor Dostoyevsky’s “Crime and Punishment”. The Japan Times, an Englishlanguage newspaper, duped readers with a headline promising “revolutionary robots to take care of Japan’s kids”, playing on stereotypes of Japan’s obsession with technology and childcare. Clothes retailer H&M surprised online shoppers by launching its Mark Zuckerberg Collection Pack, which consisted of a pair of jeans and seven identical grey T-shirts in honour of the Facebook founder’s restrained fashion sense. English-language website The Beijinger claimed that Zuckerberg had accepted a “green card” from China’s Communist government and was moving to the capital after a high-profile visit to Beijing last month. Not all in China saw the funny side, with official news agency Xinhua posting on micro-blog Weibo that the occasion “does not conform with our nation’s cultural traditions, nor does it conform with the core values of socialism”. “Don’t believe rumors, don’t create rumors and don’t spread rumors,” it urged. Britain’s Thames Valley Police launched a recruitment video for its new feline division, set up to harness cats’ curiosity and gift of nine lives to fight crime, although they were to be kept apart from the dog division. Taking a drier approach, Poland’s leading liberal daily Gazeta Wyborcza claimed that Pope Francis had sent a letter to Prime Minister Beata Szydlo calling for an end to the country’s political crisis.